The Libertines frontman will play shows in the UK throughout May. 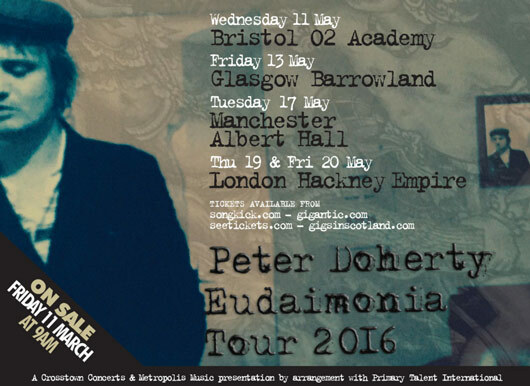 Pete Doherty has announced UK tour dates for 2016. The Libertines singer took to his official website, albionrooms.com to confirm the news of his Eudaimonia tour, which will see him play shows across the UK in May this year. The string of dates will also see the Gunga Din star play two dates at London's Hackney Empire on the 19th and 20th of the month. Tickets go on sale this Friday, 11 May from 9am.